his grave in the Stiftskirche/Dom, Bad Gandersheim. statuegroup telling the coronation, König Heinrich Brunnen, Quedlinburg. their statue in the Neue Brunnen, Quedlinburg. their statues in the Altstadtrathaus, Braunschweig. their grave in the Stiftskirche St.Servatii, Quedlinburg. his statue [Roswhita-brunnen] in Bad Gandersheim. his statue in the momument, Illertissen. 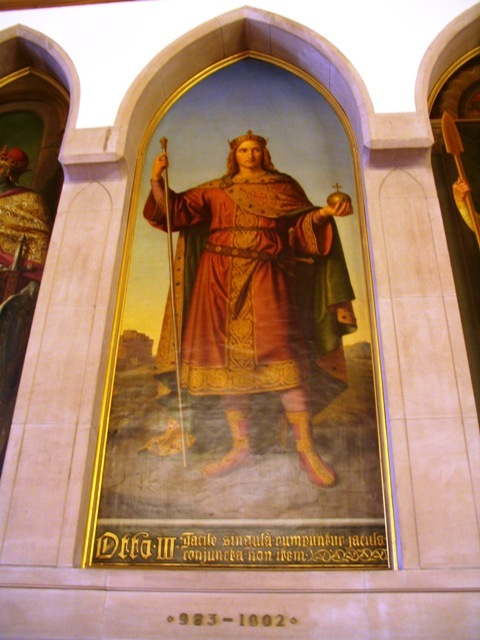 his statue [Dom] in Magdeburg. his statue [Magdeburger Reiter] in Magdeburg. his statue and 1e spouse [Herrscherpaar] in Magdeburg. 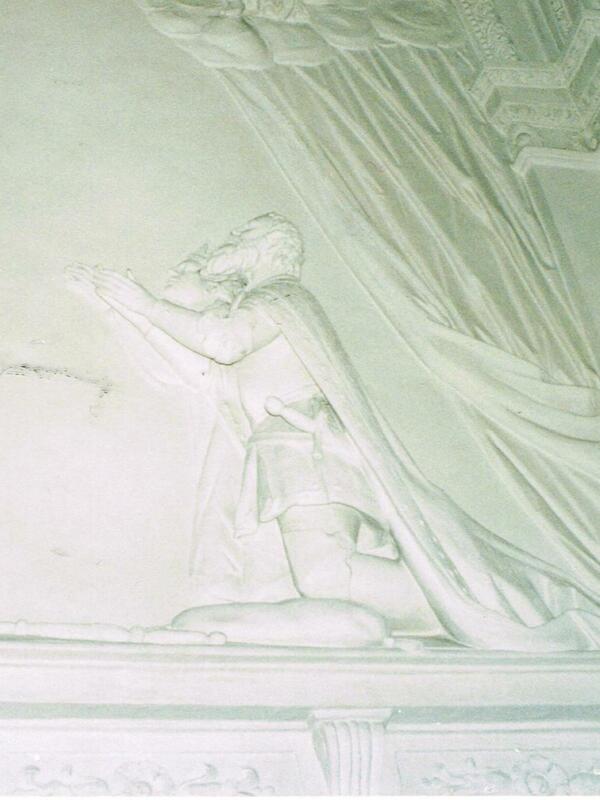 his statue and 2e spouse in the Dom, Meissen. 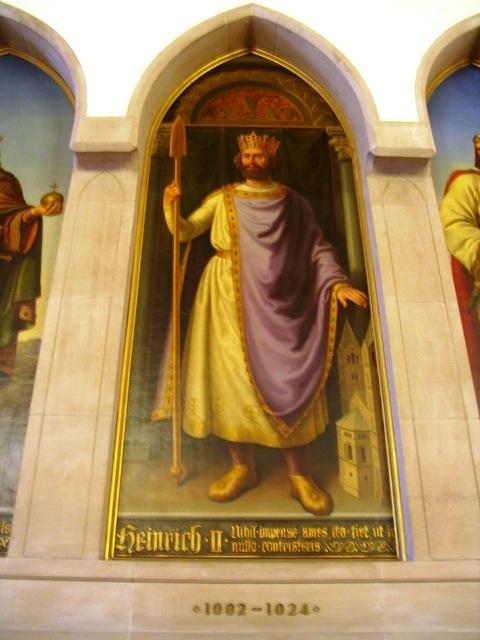 his statue and 2e spouse in the Altstadtrathaus, Braunschweig. 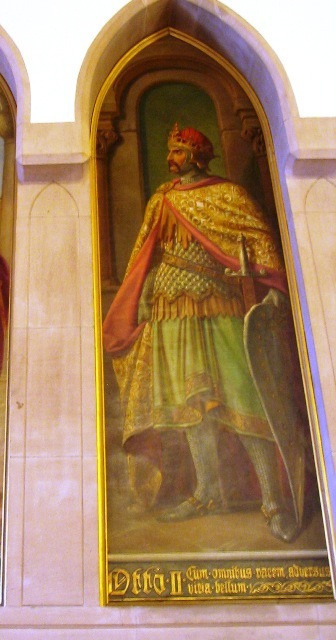 their portraits in the door of the Rathaus, Magdeburg. grave of 1e spouse [cenotaph] in the Dom, Magdeburg. his grave in the Stiftsbaslika St.Peter und Alexander, Aschaffenburg. her statue in the Neue Brunnen, Quedlinburg. 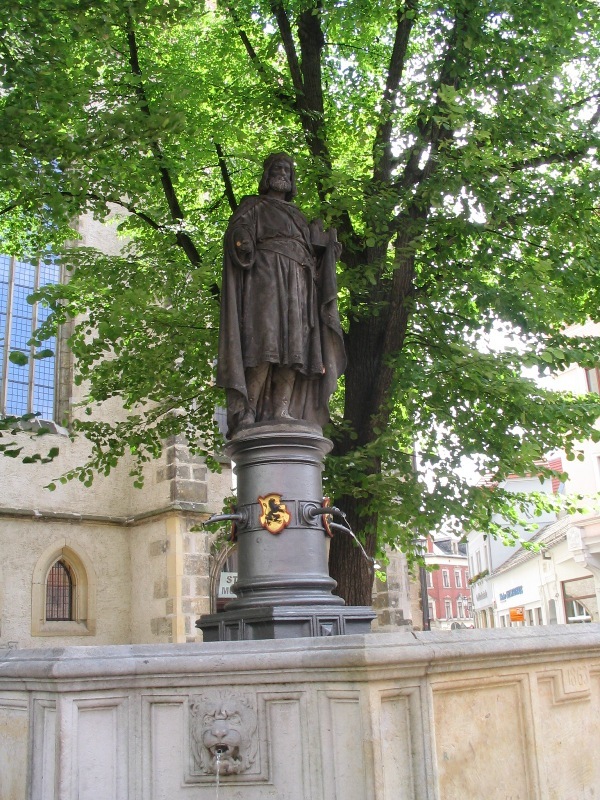 his statue in the Marktbrunnen, Ludinghausen. statue of spouse in Eschwege. grave of spouse in the St. Pantaleon, Cologne. 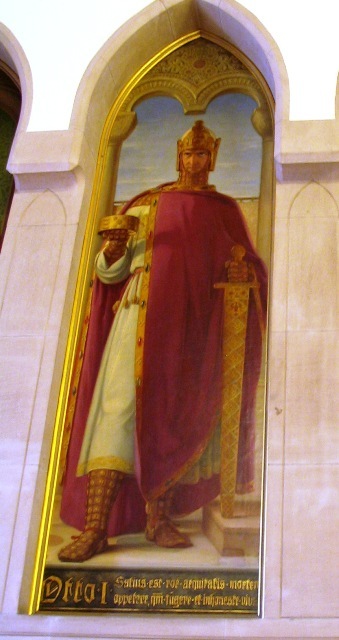 his statue in the Münster, Basel. his statue [Heinrichsbrunnen] in Meiningen. his statue [extern] in the Dom, Merseburg. 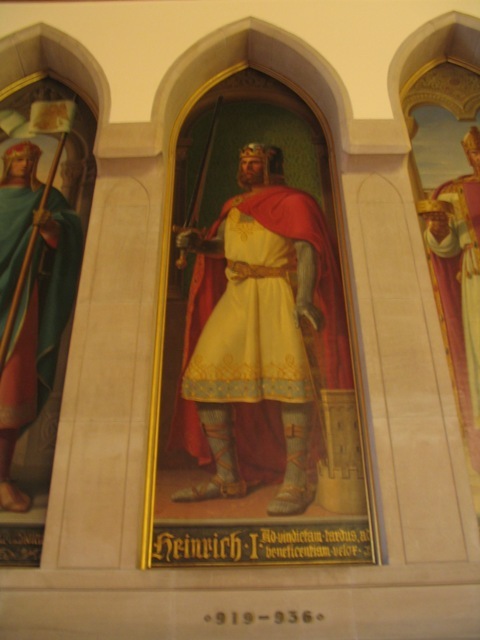 his statue [intern] in the Dom, Merseburg. his portrait [ceiling] in the Dom, Merseburg. his statue in the Kloster, Scheyern. their portraits [Hauptaltar] in the Dom, Merseburg. 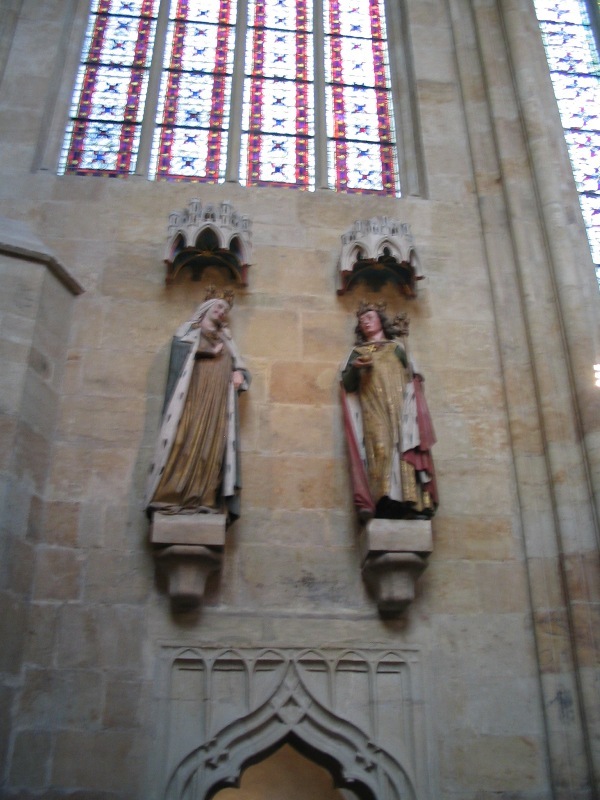 their cenotaph in Cathédrale Notre Dame, Luxembourg. 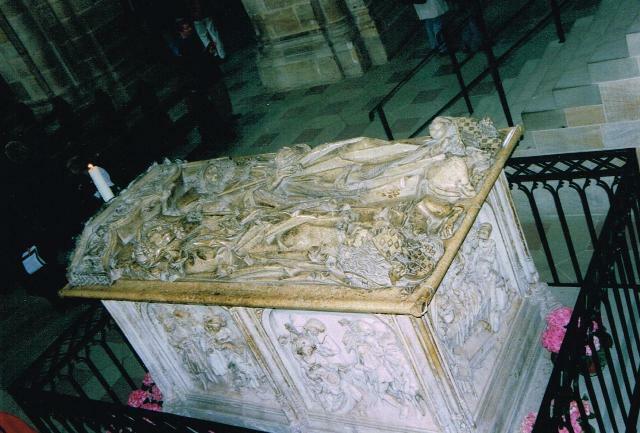 their grave in the Dom, Bamberg. his statue and fiancé in the Altstadtrathaus, Braunschweig. 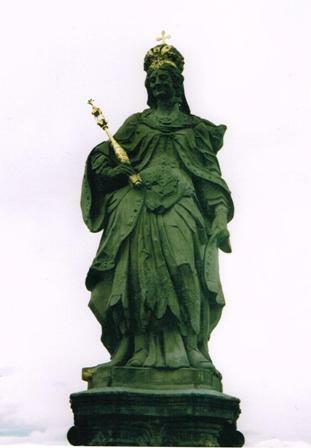 her statue in the Münster, Basel. her portrait in the Kloster, Scheyern.